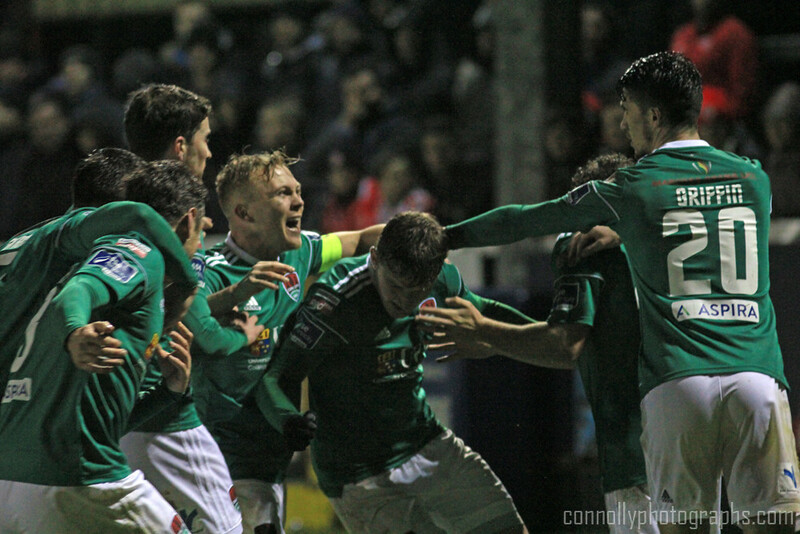 A late and unlikely Kieran Sadlier goal proved the deciding factor in a remarkable game at Richmond Park on Friday night as Cork City pipped St Patrick's Athletic to the three points in a five-goal thriller. 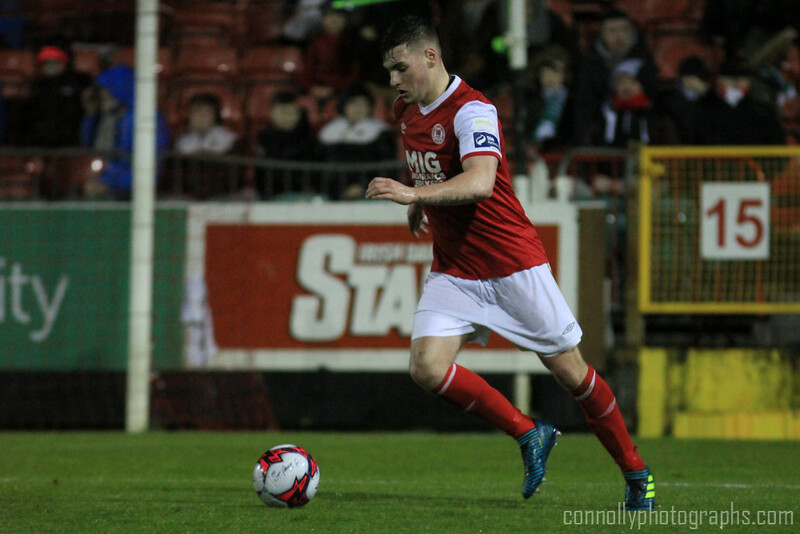 City enjoyed a vigorous opening 20 minutes to the defence of their League title, finding themselves two goals to the good against St Patrick’s Athletic and looking to be on course for their first three points of the 2018 season. But on 26 minutes returning striker Graham Cummins flattened Pats centre-back, Kevin Toner, with an elbow and was immediately shown a red card by referee Robert Harvey. From that point on the home side dominated and a straightforward evening became considerably more complicated. 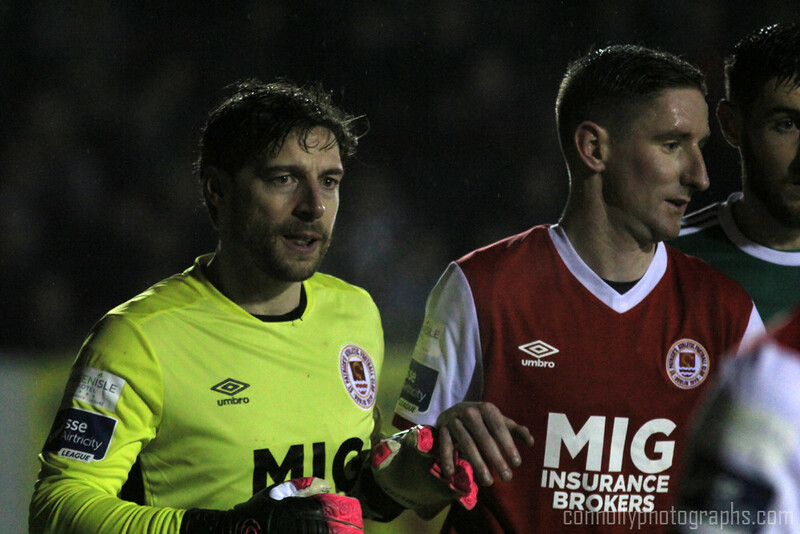 Cummins had set up Barry McNamee for the opener after just three minutes, crossing to the back post where the former Derry City man planted the ball past Barry Murphy from close range. Cummins then made it two with a powerful volley after Karl Sheppard had nodded the ball over the defensive cover. True, Pats had had plenty of possession up to that point but City, with just two attacks, had made both count and looked threatening every time they came forward. Pats would have felt aggrieved that their efforts had counted for nothing and when City went down to ten men they turned promise into product, pressing relentlessly and denying the visitors any opportunity to settle on the ball. 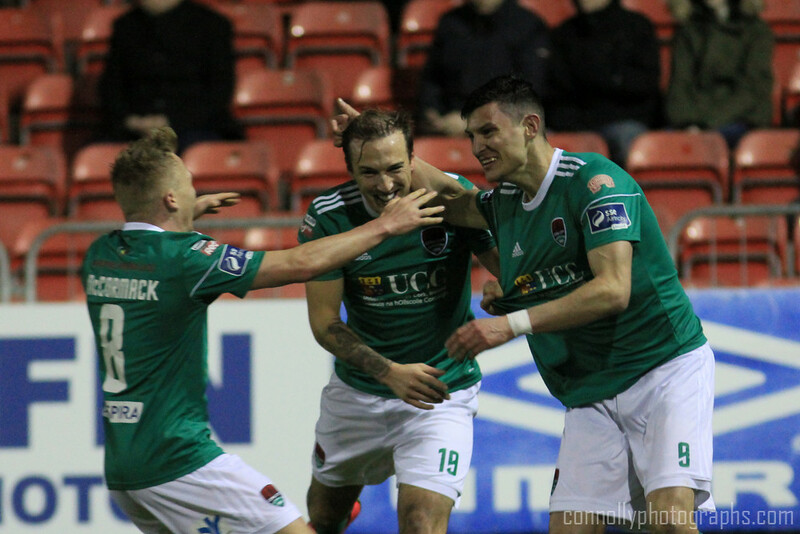 They were duly rewarded ten minutes before the break when Ian Bermingham met a corner from the left and the ball cannoned off the underside of the City crossbar and into the goal. 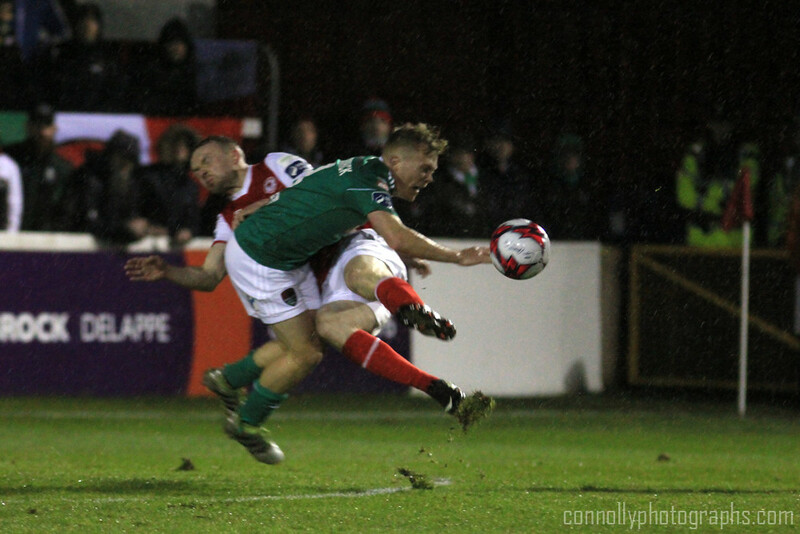 There was some suspicion that City defender Aaron Barry had the last touch but regardless of the scorer Pats finished the half very much in control. Within a minute of the restart the Saints were level. An attack down the left resulted in a cross from Ian Bermingham that went right through the city area to Conan Byrne, lurking on the far side. 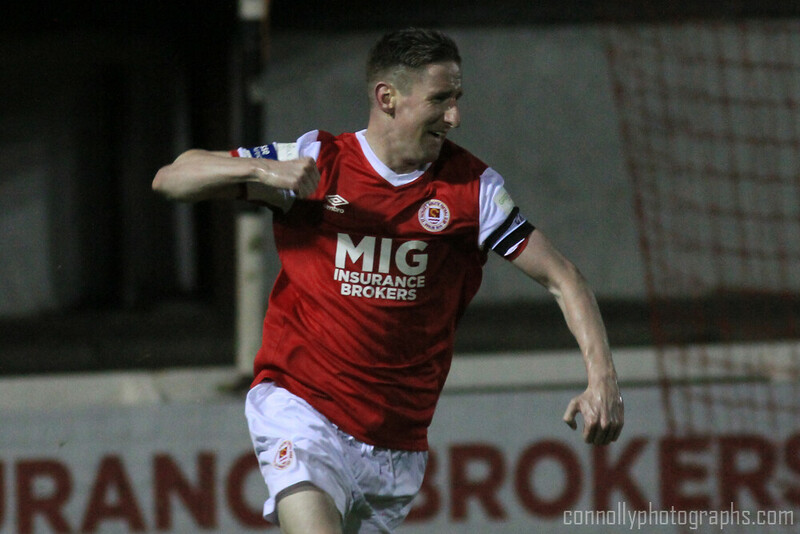 He took a touch and hammered the ball low past McNulty, much to the delight of the home crowd. Level now, and with everything going their way, Pats continued to turn the screw, rarely allowing City enough time and space to do anything other than defend. Gradually, however, Cork managed to find some semblance of stability. The tempo of Pats’ attacks slowed and the Leesiders seemed to find their sense of defensive shape. Slowly they themselves began to creep forwards, spurred on by the indefatigable Kieran Sadlier. Set pieces started to go their way with the occasional corner offering a glimmer of hope to the traveling support. But when a shock third goal came, even they could not have expected the manner of it. 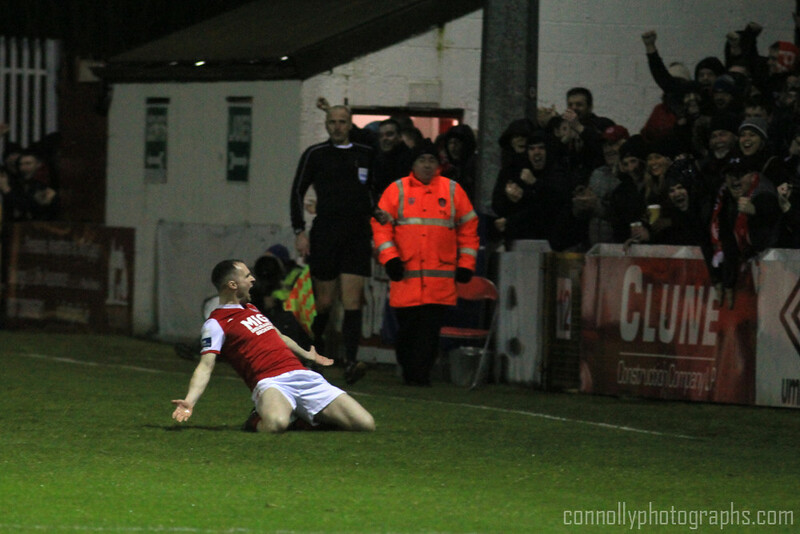 Winning a corner on the left with eight minutes remaining, Sadlier strode across to take it. He spun in a looping, curling ball that the entire Pats defefence misjudged. When the ball bounced on the goal-line there was no more than a single red-socked leg to try and keep it out. 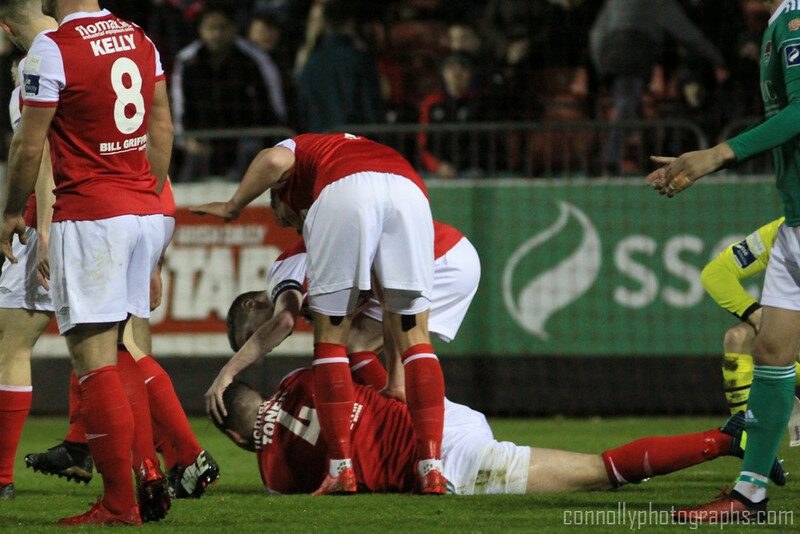 It failed and, in the most bizarre circumstances, Cork had nicked an unlikely winner. Four minutes of added time were announced on the 90 minutes but it wasn’t enough for Pats to rescue the situation and, having seemed dead and buried before battling back to level terms, somehow managed to let a potential win slip away. St Patrick’s Ath: Barry Murphy; Simon Madden, Lee Desmond, Kevin Toner, Ian Bermingham; Conan Byrne, Owen Garvan, Graham Kelly (Darragh Markey 65), Ryan Brennan, Ian Turner (Jake Keegan 65); Dean Clarke (James Doona 78). Subs not used: Brian Maher, Michael Barker, Jamie Lennon, Michael Leahy. Bookings: Conan Byrne (45), Darragh Markey (76), Lee Desmond (85), Simon Madden (90+3). Cork City: Mark McNulty; Steven Beattie, Alan Bennett, Aaron Barry, Shane Griffin; Conor McCormack, Jimmy Keohane (Gearoid Morrissey 65); Karl Sheppard, Barry McNamee, Kieran Sadlier; Graham Cummins. 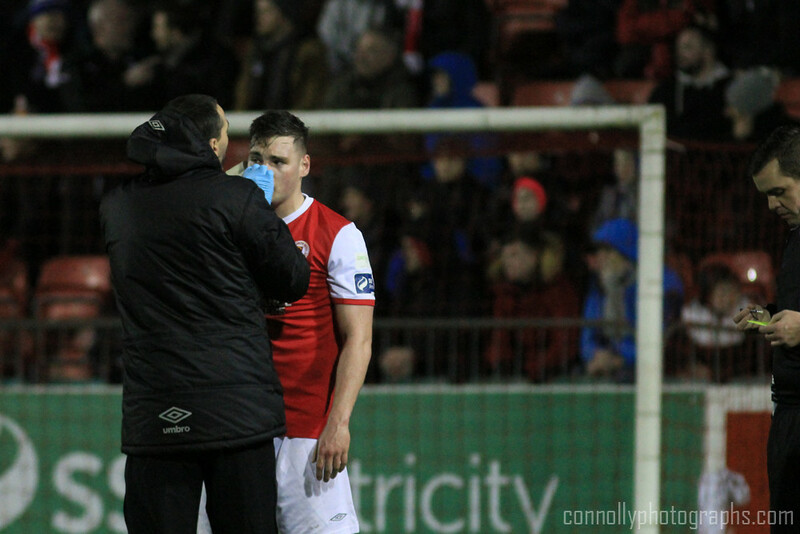 Subs not Used: Peter Cherrie (gk), Danny Kane, Tobi Adebayo-Rowling, Conor McCarthy, Colm Horgan, Sean MacLoughlin. Bookings: Shane Griffin (35), Steven Beattie (57), Barry McNamee (85). Sent off: Graham Cummins (26). 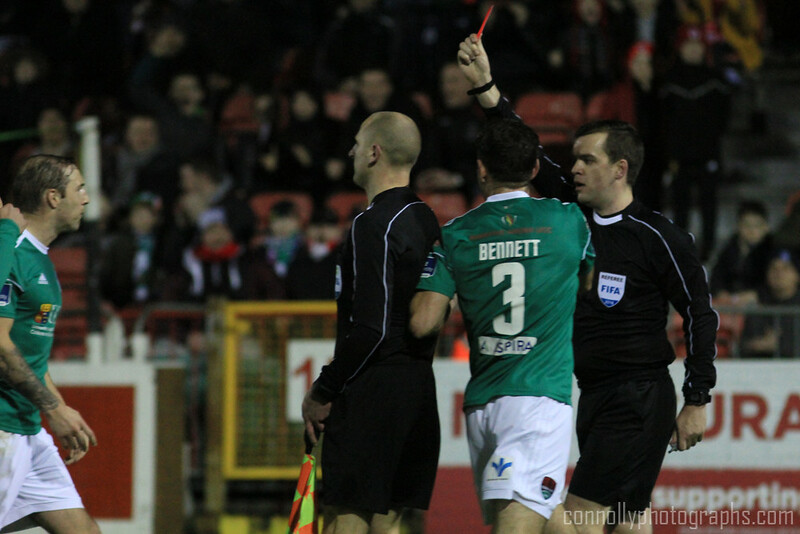 Extratime Man of the Match: Kieran Sadlier (Cork City).